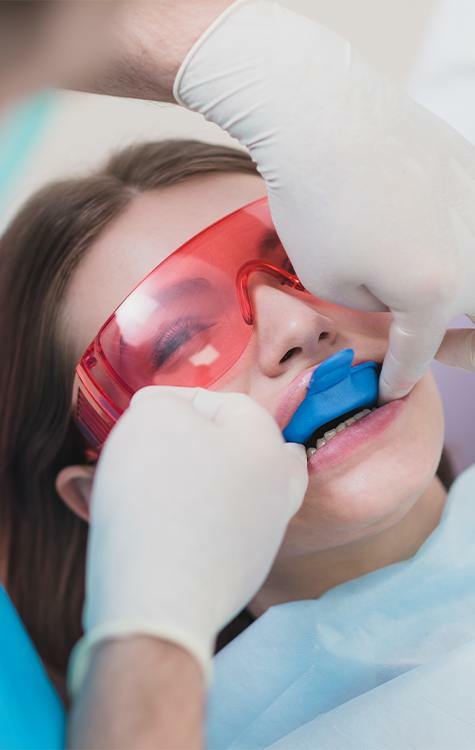 On this page, you’ll find our array of preventive dentistry services, and their goal is to make sure your smile is not only clean and healthy on the day of your appointment, but for years to come as well. Prevention is key to our practice’s approach to dentistry because we’d much rather help you avoid a dental issue than have to fix it later. Plus, with our unique, whole-body approach to dentistry, we’ll often be able to detect subtle signs of much more serious issues so they can be quickly treated. To learn more about how we can keep your smile problem-free, read on below! A standard dental checkup and teeth cleaning are the cornerstones of modern dentistry, and the reason for that is simple: they work! When you come in for a routine preventive dentistry appointment, one of our excellent hygienists will use advanced tools to clean your teeth, and then Dr. Wade or Dr. Moody will examine your teeth and mouth for signs of common dental problems and more. By coming in for these dental checkups at least twice a year, we can stop many dental issues from developing in the first place! Periodontal therapy refers to a variety of treatments used to treat periodontal disease, which is better known as gum disease. This is an infection of the gums and bone that surround your teeth, and it’s actually the most common dental problem in the U.S. today. In fact, it’s actually the leading cause of tooth loss for American adults! Also, according to more and more research, gum disease is a key risk factor for other, much more serious conditions such as diabetes, heart disease, and dementia. When you visit us, we will always keep an eye on the condition of your gums, and if you show any signs of this infection, we can use periodontal therapy to quickly take care of it. Do you or your child participate in sports? 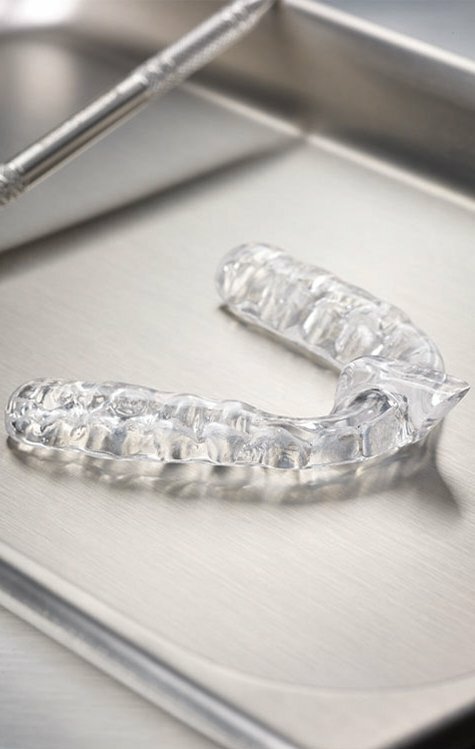 A mouthguard can help protect the teeth from injury due to unseen collisions, and rather than getting a generic, uncomfortable one from the store, we can provide you with a completely custom-made mouthguard right in our office. It’ll be much more comfortable AND do a better job of defending your smile. 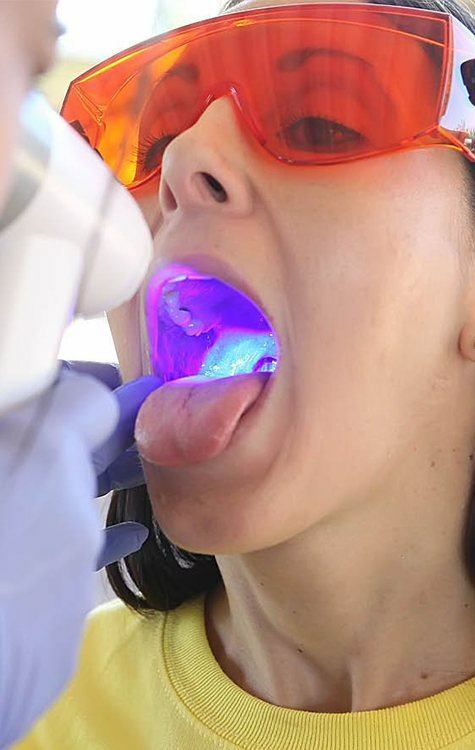 Our doctors recommend that everyone should have at least one oral cancer screening per year. Why? Because early detection is the best indicator when it comes to successfully treating this terrible disease. Your dentist can perform one during your regular dental checkup to make sure it never catches you off guard. We use modern technology called an oral ID light that helps illuminate any cancerous, pre-cancerous or suspicious cells. Nighttime teeth grinding, otherwise known as bruxism, can be caused by stress or an injury, and often, this can cause problems for the sensitive jaw joint known as the TMJ (temporomandibular joint). Problems with bruxism and the TMJ can damage the teeth, injure the jaw, and create all kinds of chronic pain. Fortunately, our team can help protect your smile from this issue. Still have questions about our preventive dentistry services? Ready to schedule an appointment? If so, please contact us today. Stonebriar Smile Design is based in Frisco, and we happily serve patients from Prosper, Plano, and McKinney as well.